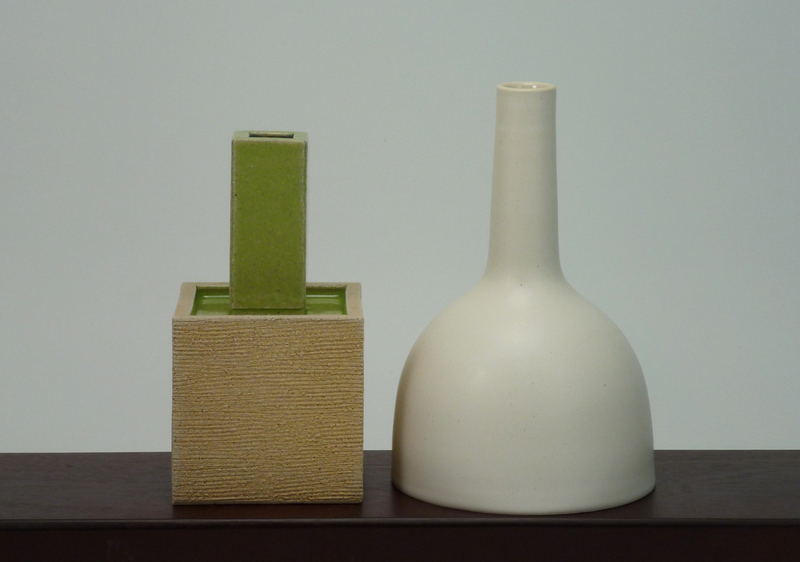 Bottle Buddies…Two bottle selections from Rafter E Studios, one hand-built by John Eck with stoneware and one wheel-thrown porcelain bottle made by me. Bowl Buddies…What better place to keep your candy than a hand-made bowl? Budvase Buddies…Even though John and I use different techniques, clay bodies and glazes, our work looks good together. Here he made stripes by brushing on wax to resist the white glaze that he dipped the neck of the bottle into. I made stripes by faceting the clay which causes the green glaze to “break” into an ivory color at the edges of the facets. 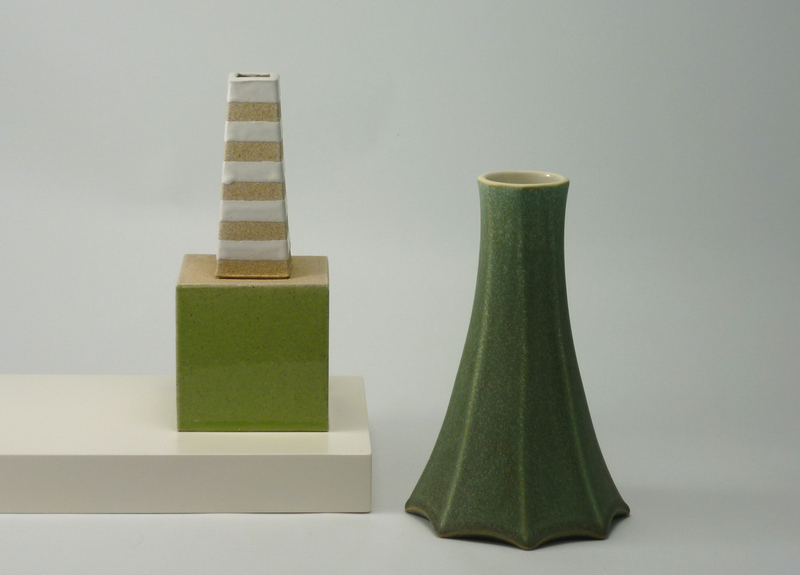 Longer Than Wide Buddies…My two favorite small pieces in the gallery right now. How cute are these? 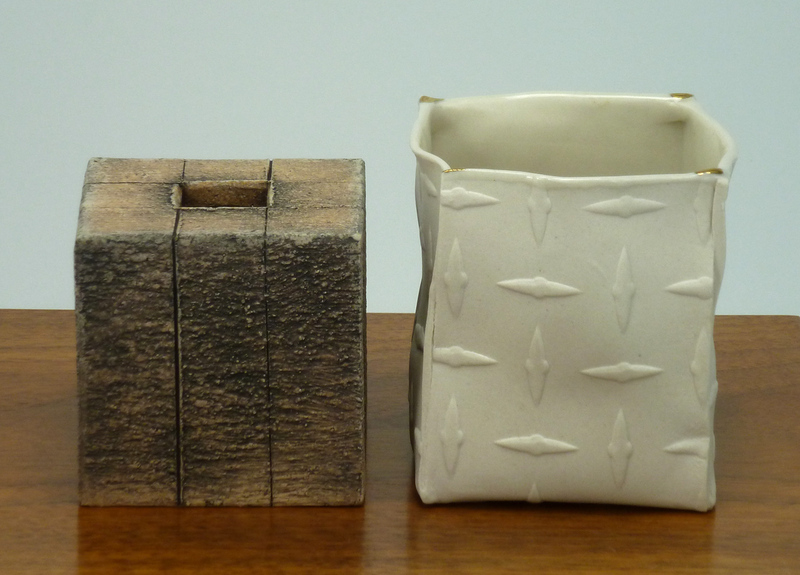 Box Buddies…John carefully textured and incised the surface of this small box. And he paid special attention when he cut out the opening. See how the clay edge kicks up a bit there from the knife blade? Bet you didn’t know I make boxes, too! This porcelain box was made by pressing a thin sheet of clay onto a plaster mold with the diamond plate pattern and cutting it into a shape…like an x. 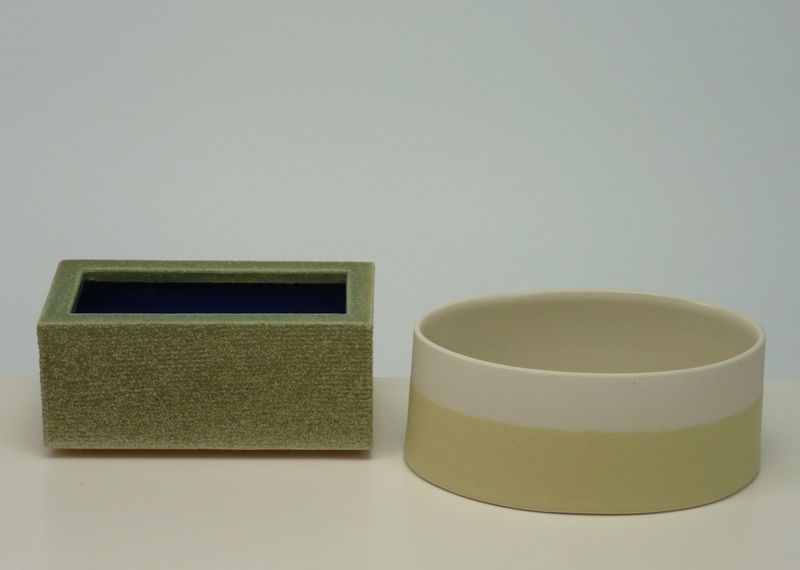 Then, when the clay was just the right dryness…just right…I folded the shape up into the box. Very tricky to get the edges in place exactly how I want and to keep the form soft looking. 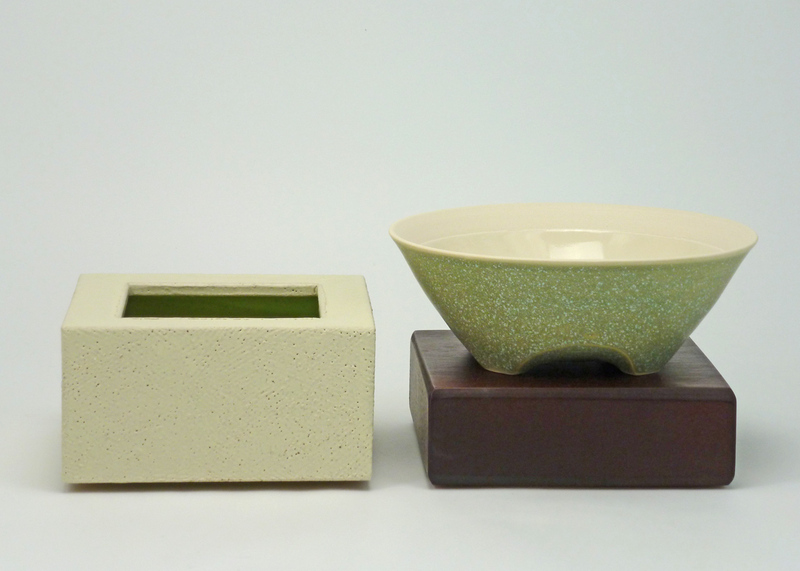 Both boxes are glazed on the inside. John’s is an excellent budvase and it’s fun to plant little succulents and cacti in my more open box. Did you know you can follow this blog? I don’t post often and will only put you on my mail list if you click on the option found on my website or otherwise ask. If you suffer from this dilemma, I caution you…do not try the following.